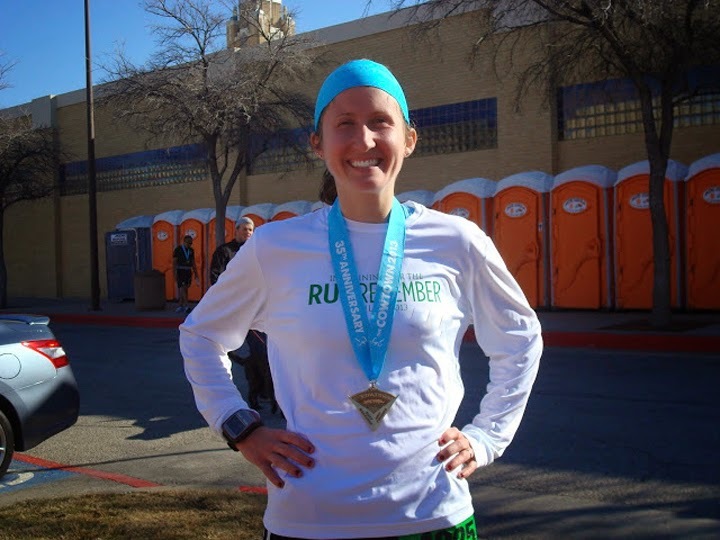 "Runner's Tell All" is a monthly linkup for runners of all ages, skill levels, and experience hosted by Sunshine to the Square Inch and The Lady Okie. Each month we'll have a different topic, and you can find all the topics listed here. We are accepting two sponsorship spots for each month, who will receive a sidebar ad on both blogs as well as entry links in the giveaway. 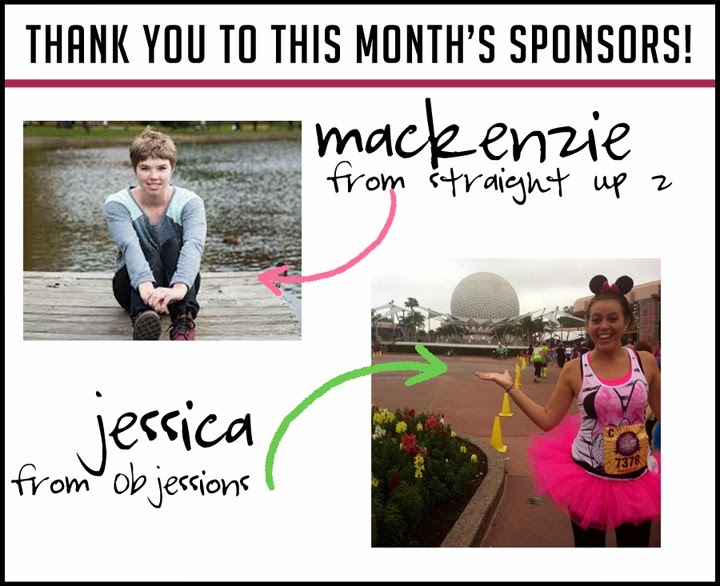 100% of your sponsorship money will go directly toward running-related giveaways. Find more information on sponsorship here. We have 2 spots available for July! 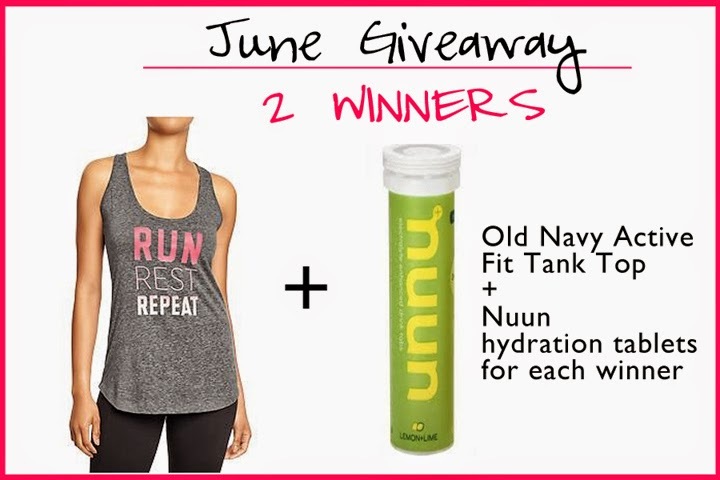 This month's topic is: your favorite or proudest running moment. I definitely think favorite and proudest can be two different things, so I'm interested to see what direction you all take this. I really had a hard time narrowing down my favorite running moment, but it was easy to come up with my proudest: when I finally ran a half marathon under 2 hours. 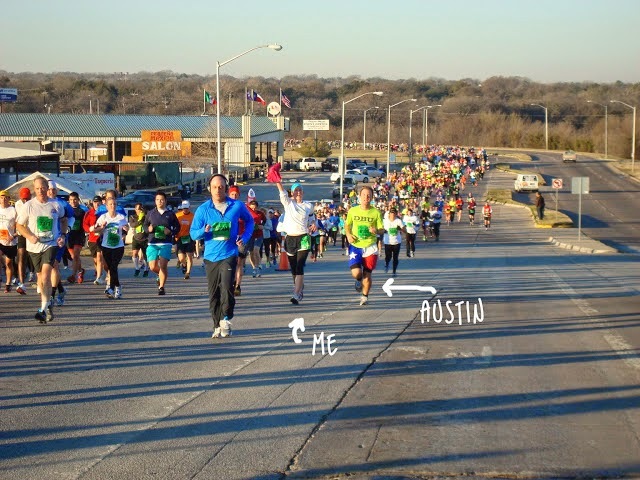 You can read my full race recap here of when I ran the Cowtown Half Marathon in Fort Worth, Texas, in 2013. When I ran my first half marathon in 2010, my goal was to finish under 2 hours, 10 minutes. I finished in 2:08 and was ecstatic. From there I set my sights on a sub 2-hour half, because I knew it was definitely possible. For about a year and a half I trained to get faster, and I ran a 2:07 and then a 2:03, both in 2012. I caught up to and passed the 2-hour pace group around mile 10, and from that point on I knew I was going to be under 2 hours. As soon as I crossed the finish line, I burst into tears. Like, sobbing tears. So hard that a volunteer who was handing out medals asked me if I was okay. "I'm just so happy," I sobbed. That is the one and only time I have cried at the finish line. I've teared up during races, but only once have I legit ugly cried at the finish, sweat dripping down my face and my hair a knotted mess. You might be surprised that running a marathon doesn't rank at #1 on my list. There's no doubt that crossing both of those finish lines changed my life, but when I think back on all my races, half marathon #5 always comes to mind first. Truthfully, I realize the competitor in me will always want to try to go faster. Last year I ran 1:53, and I would love to go under 1:50 at some point. But I can honestly say that even if I never get faster than I am right now, I'm still so dang proud of myself for that 1:56. I totally earned it. Now it's your turn! 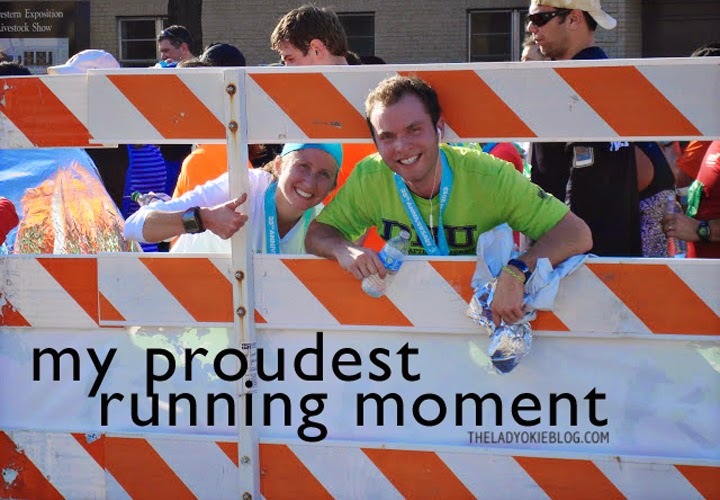 Link up below with your favorite or proudest running moment, and if you don't have a blog but just want to share, leave a comment or shoot me an email! I would love to read about it. What's your go-to fuel to optimize training and get you through race day? Do you have a race-day fueling strategy? What about training runs? Share, and let's learn from each other! I would guess that proudest moments for a lot of runners would relate to times--at least for those with a streak of competitiveness in them! Angel has not been too proud of his times recently but I know he's pretty proud that 12 years later no one has broken the record he set in high school of running the mile in 4:25. I agree that favorite and proudest can be two different things! For some reason I interpreted the prompt as proudest. At any rate, love your story. Congrats on achieving your goal! While I have no doubt you'll reach your next goal of breaking 1:50, your 1:56 is inspiring. No wonder you were emotional at the finish line! It's an awesome finish time, and you worked hard for it! I have recently gotten into the trying to beat my previous time phase. Prior to the last year or so, I was usually just hoping I made it to the finish line :) It is such a great feeling to meet a goal though! Congrats to you on this awesome accomplishment and good luck as you press on to new PRs going forward!! That's definitely a proud moment and congrats on breaking that sub-2 barrier! I have yet to run sub-2, but it's certainly a goal of mine. I was gunning for a sub-2 at a half in November 2012 and ended up running 2:01:00. Ouch. But it was still a 6 minute PR and I was still really happy. I have yet to ugly cry at a finish line :) Maybe it will happen this October at Marine Corps Marathon (which will be my second). Ha, I just posted mine and it wasn't one of my marathons either ;) Huge congrats on sub-2! I haven't trained specifically for a half PR in a year and a half (i.e. since training for marathons took over my life) but the next time I do, I have my sights set on breaking 2 hours. The day I run a sub-2 hour half, I plan to contact the local news station because I will insist on letting everyone know. Yeeehaw!!! That is awesome!!!! Love that it was in Texas too :) You are a STUD! This is awesome! I love trying to beat my times from previous races, it's sort of addicting. Congrats to your brother! I almost passed out when I went into hysterics after finishing my half - my lungs were like WE CAN'T DO ALL THE THINGS YOU ARE MAKING US DO RIGHT NOW. bodies, eh? That is the greatest feeling! I'm all about besting myself - I'm way to dang competitive! I'm linking up tomorrow and writing my story, just had to comment and say congrats, even if it's been awhile! Also, the proudest moment I will be writing about is my first sub-2 half that just happened yesterday :o) Didn't want you to think I was stealing your idea! I'm still kind of on a runner's high about it. Sore legs and all. We have such similar stories! The goal for my first half was to run under 2:10 and I ran it in 2:09. My goal for my next marathon was not to walk and run it under 2:00. I ran it in 1:56 - probably my most favorite/proudest moment. I'm hoping that my new favorite/proudest moment will be when I finish my first marathon in December! The only thing that would have made the Cowtown marathon better - MORE COWBELL. Also, I love that it wasn't your first that you thought of (mine neither)! That's so awesome!!!! You are incredible!!! Coming in under 2 is seriously INCREDIBLE!! You are so motivating :) I look forward to the day I start shaving time off my runs and can really SEE the improvements. That is most definitely a moment to be proud of!! You did awesome. Congrats on your sub two-hour half; that's definitely something to be proud of. Even though I'm very proud of my running achievements, I took my post in a different direction. As a trainer, my proudest moments are helping others reach their fitness goals through running! I haven't hit under the 2 hour mark--I have been SO DANG CLOSE. lol. So, I would definitely ugly cry too!! haha. And congrats! Definitely understand why that would be your favorite!! Hope y'all had a great weekend with the wedding! I absolutely LOVE your brothers running shorts. Cowtown is my all time favorite race. Great story! Going sub-2:00 is one of those barriers that make so many other goals seem possible. That must have been a pretty exciting moment for you! Congrats! 1:53 is fast girl! I guarantee with some strength training and speed drills you'd be under 1:50 easily! Wow, that's really fast! I agree with Beka. You could definitely make 1:50. But congratulations on that time! That's awesome!